Harold Fairhurst leads Cyril Cooper at Liverpool's Stanley Stadium. This was either heat 3 or heat 14 of the match on 25/5/53 which Monarchs won by 54-30, not long before the Liverpool team pulled out of the league. 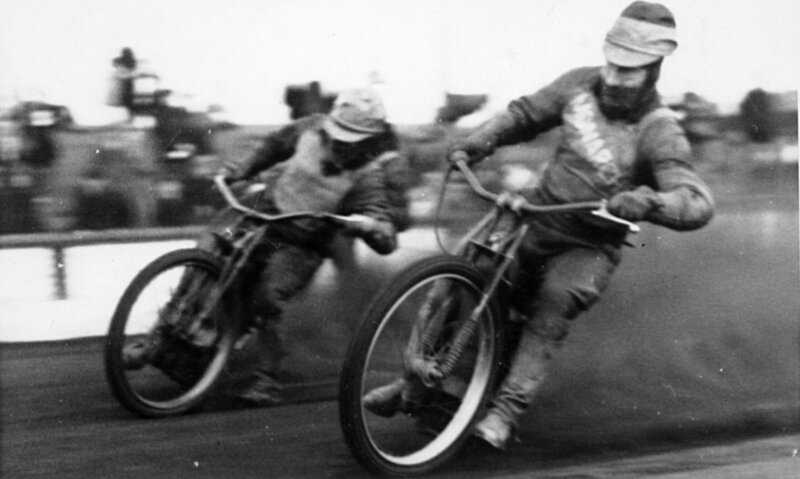 On 11/7/53 Monarchs should have raced Liverpool in the Queen's Cup at Old Meadowbank but with doubt over the Chads' continuation, only 5 of their riders turned up and Edinburgh boss Frank Varey called the match off.